Really cool. Happy Birthday. Don't let it go to your head though lmbo. I hate my kids. You are lucky. Now you can have your tank and eat it too. And, don't forget to take that camo off so you can use it on another tank. You have great kids! You must be very proud of them! The apple never rolls very far from the tree. Edited by Whistling_Death_, Mar 13 2018 - 23:16. Happy Birthday.Those are some smart kids . Happy Birthday! 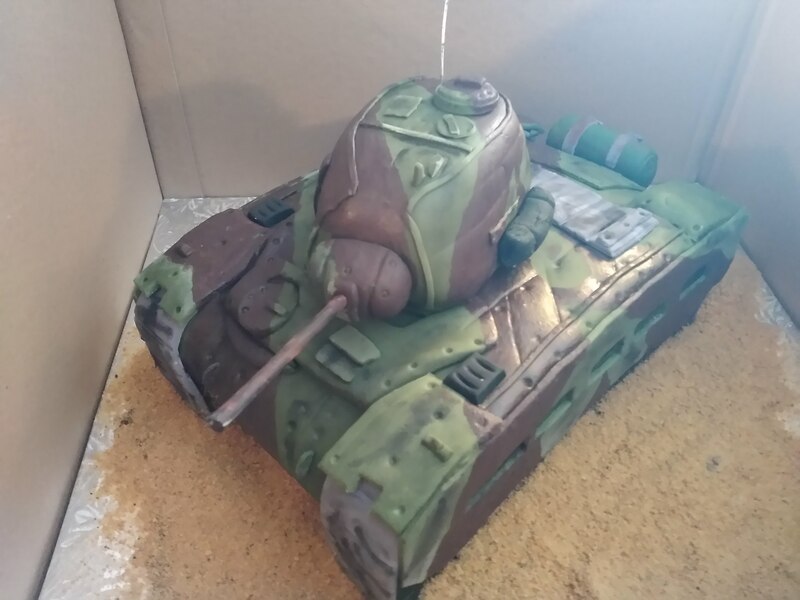 Does anyone remember the tank-shaped birthday cake contest/celebration WoT had in April of 2012? I made an Object 261, learned about fondant, discovered Hobby Lobby offers many shades of green and brown sugars, and covered a pretzel rod with camo frosting for the gun. Overall, my tank cake ended up looking like an amorphous lump of unrecognizable puke, but most other entries were really clever and rather realistic, like what your kids constructed. Good times! Careful not to cut into the ammo rack area.